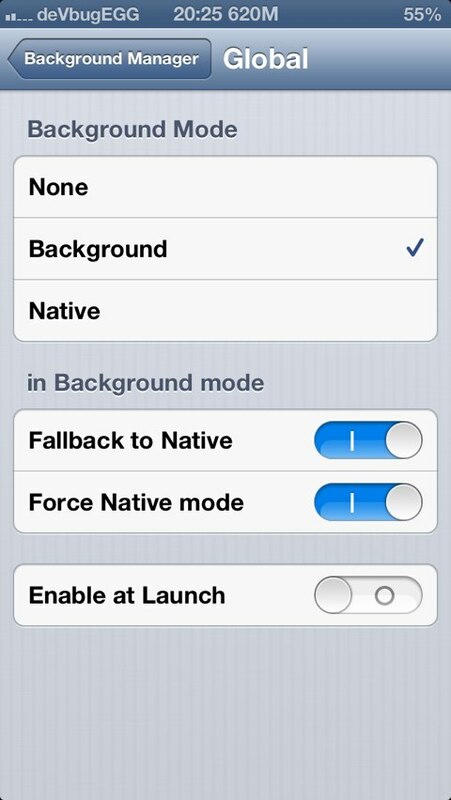 Background Manager allows the user to enable backgrounding for true multitasking on iOS. The default iOS multitasking works by suspending the process in the memory. However with the Background Manager, you can choose to run any app on the background as if it was running on foreground. * Please note that this is NOT Backgrounder, the codes are written from scratch to bring Backgrounder-like functions to iOS 6.x.